Width: 72 ft. 10 in. Depth: 73 ft. 10 in. Electronic PDF bid set includes all four Elevations and the dimensioned floor plans. It's stamped Not For Construction. The cost of the PDF bid set will be deducted from an upgrade to a licensed set. Single use PDF digital construction plan set, allowing you to make hard copies for permit acquisition, or email to sub-contractors for bidding purposes as needed. If you intend to modify the plan, we recommend using a CAD file. Complete set of construction drawings in an electronic file format. Needed if you have a significant amount of changes to make to the plans or local engineering. 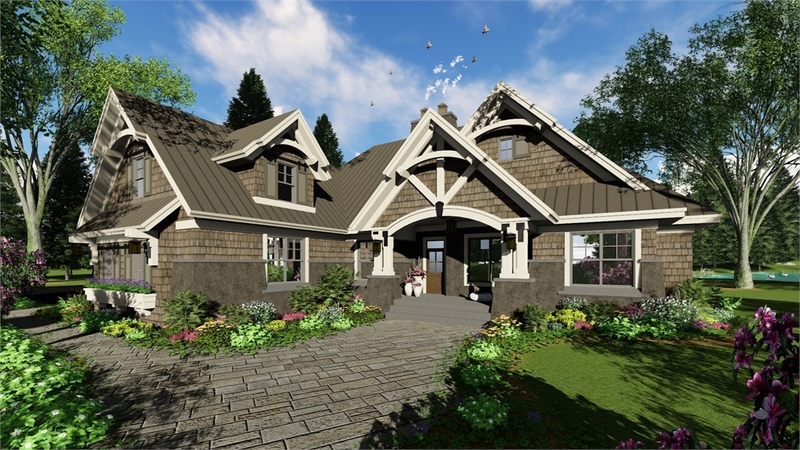 Comes with a one-time build copyright release that allows your local design professional to modify the plans electronically with their CAD programs. Allows you to print the desired number of copies to provide to all parties involved in helping you build the plans.